Computer use is guaranteed for one hour each day, but can be extended as long as no one else is waiting to use a computer. All computers shut down automatically 15 minutes before closing. 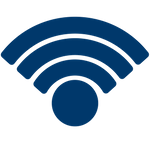 All branches also offer free Wi-Fi by connecting your device to "Patron Wireless." For more information, read the library's Internet Policy. At what age can my child use the computer on his own at the library? Can my child use a computer at the library? How long can I use a computer?